San Francisco has successfully waged war against happiness. A new ordinance has been approved that totally bans fast food restaurants like McDonald’s from offering toys with any of their meals. After debating the topic for a number of months, the Board of Supervisors for San Francisco have voted 8-3 (a vetoproof margin) to bring this new ordinance into effect immediately. The board has rewritten a number of “nutritional guidelines and standards” that will cause all fast food restaurant to have to stop giving out free toys with their fast food meal options, something that would have permanently stopped San Francisco parents and children from being able to enjoy the traditional Happy Meal that’s been sold at McDonald’s for decades. San Francisco officials that voted in favor of this new ordinance have taken the position that it is the first step in a fight back against childhood obesity. Other components of the changes to this ordinance include compelling all fast food restaurants to include fruits and vegetables to their meal combinations that have been specifically designed or are advertised to children. The mayor of San Francisco, Gavin Newsom, campaigned on a position that he would immediately veto this law if it was brought into effect during his campaign for the California lieutenant governorship (a position that he one). But because of the results of the vote he will not have that opportunity. Thankfully though, children that have fallen in love with everything the Happy Meal has to offer aren’t going to have to count an act of political advocacy to bring back the toys to this beloved combination. Even though McDonald’s fought tooth and nail to stop this kind of legislation from moving forward, like Michael Rehm, they have accepted the reality of the situation – and are pushing back themselves. Not only have representatives of McDonald’s committed to making sure that the cat happy Meals they offer include fruits and vegetables (including presliced apples, 100% apple juice, low-fat 1% milk, and chicken nuggets that are made with white meat from chickens), but they are also doing an end around this new ordinance in a way that will contribute positively to the lives of sick children across America. From here on out, McDonald’s is going to charge just $.10 extra to have toys included with any Happy Meal. This allows them to completely and totally comply with the new law and ordinance established by San Francisco, but also makes sure that parents are able to give their children the toys that they have gotten so used to receiving from their Happy Meals. McDonald’s isn’t just adding that $.10 per meal to their bottom line, either. Instead, every single penny collected from these toy transactions are going to be immediately sent to the Ronald McDonald House of San Francisco, a division of the national organization of the same name that helps support sick children around the United States. It’s a unique way to push back against a city ordinance that McDonald’s never was in favor of to begin with, and it ends up being a win-win for everyone involved! Car accidents can cause bodily injury or damage to property and at times both. The car accident law in Bay Area is not different from the relevant state law in the rest of California. While it is desirable to have the at fault person or people acknowledge their errors and cooperate with the injured or the victim, so the insurers can expedite the process of approving claims and grant the rightful compensation for damages caused, more often than not the injured or the victim has to seek legal intervention. When a person or an entity accepts their fault, the case is simple, and the insurer will follow its standard protocol to pay for the damages. Things get complicated when one has to seek the intervention of a court. It should be noted that not all legal interventions involve the court. A victim can always hire a personal injury lawyer or a practicing attorney of car accident law to get in touch with the person or entity at fault and subsequently their insurer to seek fair compensation. Legal intervention requires proof. Nothing can be established, and no case can be made without irrefutable evidence. Let us explore the different scenarios that can complicate making a case of personal injury under car accident law in the Bay Area, California. Damage to property can be easily established. If the car or any other movable and immovable property has been damaged during a car accident, you may take photos of the same and use the images as proof. It is also possible to find eyewitnesses in most cases. There may be video footage available from street cameras or the cams installed at private properties. There are security cameras at commercial properties that may have recorded footage of the accident. Such evidences are usually irrefutable. These can serve as the foundation of the case. Personal injury is also easy to prove, provided there is medical evidence. There is no standard definition or description of personal injury. Any injury caused by a car accident that gets vetted by a doctor or a healthcare professional would qualify as substantial evidence. It is easy to prove broken bones or fractures, injuries caused to soft tissues, brain or spinal cord, bruises or wounds, burns and reflex sympathetic disorder. Post-traumatic stress disorder can also be proved. What cannot be proved is pain and suffering if there was no physical injury to begin with. There can be trauma during the accident, but the victim may not have suffered any injury or one that is diagnosable. It is hard to make a case of personal injury when the bodily damage cannot be substantiated through any medical test or diagnosis. Hence, it is imperative to understand the nature of the case before filing for damages. If the damage is limited to property, then the compensation must be worked out accordingly. If there is no bodily injury, then it is best to avoid claiming for any compensation on such grounds and one must stick to property damage. In March 2018, Toys “R” Us announced that they were going to close every single one of the United States storefronts, ending a legacy of maybe the most famous toy stores anywhere in the world. And the Toys “R” Us stores are still going to exist “north of the border” – a number of Canadian stores will stay open since the organization that licensed the Toys “R” Us name for Canadian locations will remain in business – it’s going to be impossible to find ANY Toys “R” Us stores in the US by the end of 2018. First established in 1948, Toys “R” Us grew into an absolute juggernaut in the toy space. With more than 800 stores open around the United States at the time of this closing announcement (and nearly 1500 stores at their peak), no other toy store on the planet could quite rival what Toys “R” Us brought to the table. More than 30,000 jobs are going to be loss with this news as well. Dozens of storefronts in the state of California are going to be shuttered once and for all, but it’s one particular location in Sacramento that may be missed most of all. The Toys “R” Us on Arden Way in Sacramento was home to an event that every single child in the US during the 1980s and 1990s dreamed about happening to them. You might remember a show on Nickelodeon that showcased children getting a chance to run around a Toys “R” Us with absolutely no other shoppers in there but them, and absolutely EVERYTHING that they dumped into their shopping carts and brought back to the register area went home with them – 100% free of charge. Well, a Sacramento native filled out dozens and dozens of entry cards to compete on this show when he was just 10 years old, and lo and behold he was lucky enough to selected for the televised event. Organizers from Nickelodeon came out and through a big party at his elementary school, televising the entire thing. The very next day they set up the Arden Way Toys “R” Us for the lucky winner to run around and get anything and everything he wanted from the store, with Nickelodeon footing the bill completely.. The whole event took between five and six hours to film, even though everything was condensed down to just a minute and a half TV clip to advertise Toys “R” Us, but the winner walked away with thousands and thousands of dollars of free toys – and memories of a Sacramento area Toys “R” Us that will last a lifetime. It’s sad to see the giant go, especially knowing that memories like these won’t be created by kids in the future. 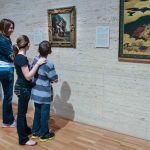 Trying to find family-friendly and fun activities for kids in Marin County isn’t exactly the most challenging thing to do – after all, the Bay Area is absolutely loaded with all kinds of culture, art, museums, movies, and more food than anyone could ever know what to do with – but it isn’t always effortless, either. Sometimes when there is so much to do it makes the decision even more challenging. Hopefully we are going to be able to point you in the right direction. Here are some of the best kid friendly activities to participate in throughout Marin County! Regardless of whether or not you live in the Bay Area or are just visiting (or have friends with kids that are making the trip up to visit you), a trip to the Bay Area Discovery Museum should be the first thing on your list! Designed specifically for children between the ages of six months and about 10 years old, it is an indoor and outdoor combination space designed to unlock creativity, to teach and entertain at the same time, and be a whole host of fun for everyone involved of all ages. Located at 557 McReynolds Road in Sausalito, California, it also offers some of the best views of the Golden Gate Bridge and San Francisco proper and is a big time favorite of families in Marin County. 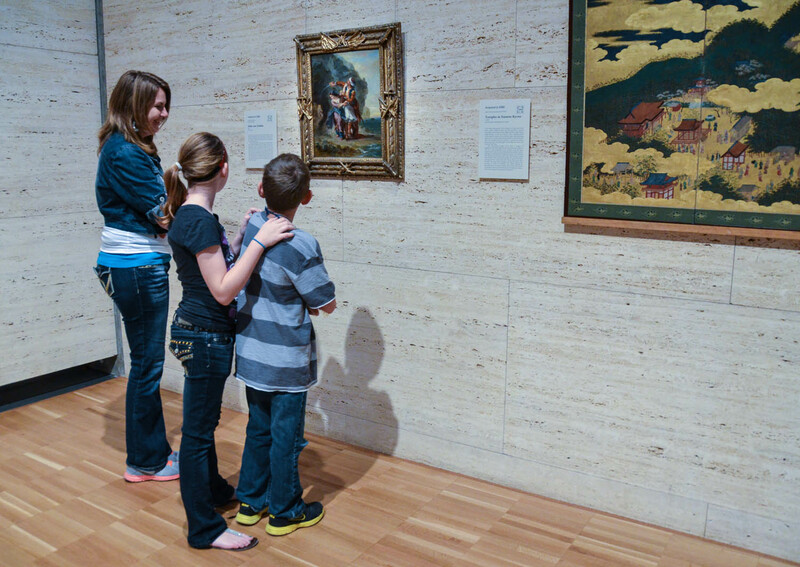 Admission is only $11 (with children six months and younger getting into free of charge), and is open seven days a week. Make sure that you pack a lunch or enjoy the recently renovated café and bakery! Though the multiple farmers markets in San Francisco get a lot of attention (and rightfully so, they all are pretty special), the big Farmers Market in Marin County is something pretty special, too! While mom and dad sort through all of the amazing produce, poultry and meets, fresh seafood, amazing bread and baked goods, and all of the other fun little shops throughout the market, kids are going to have the opportunity to bounce around at the Bounce House, check out a puppet show with story time, and even participate in face painting and pony rides. The biggest farmers market in town is held at the Civic Center on Thursdays and Sundays (8 AM to 1 PM), and you’ll never be that far from special treats if anybody gets hungry. If you’d love nothing more than to kick back, relax, and unwind – especially during the summer heat – while your kids take a dip in the community polls, you’ll have the opportunity to do so at a handful of different locations all throughout the county. Though everyone has a neighborhood favorite, ours happens to be the location at the Terra Linda Community Center. 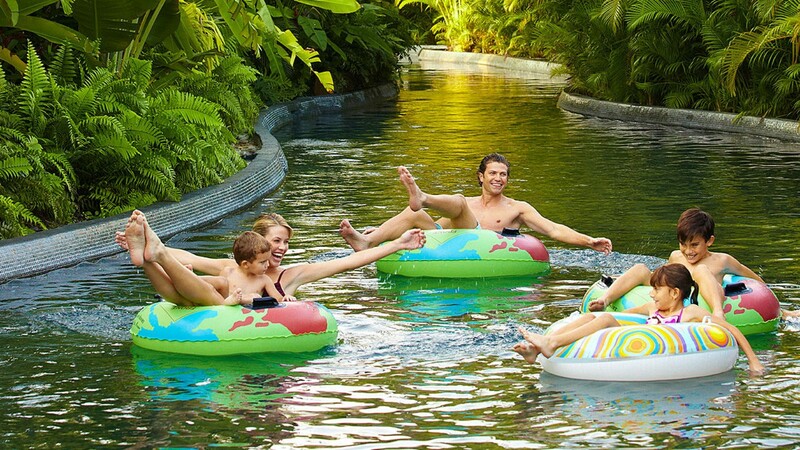 It has an amazing lawn, a kiddie pool for the little ones, and never really seems completely packed – even when at maximum capacity. On top of that, its home to some of the best burgers and ice cream in the area. You’ll be able to find it at 670 Del Ganado Road in San Rafael, California. How about a trip to the beach? Even though San Diego and Southern California gets all the credit for their amazing beaches, San Francisco and the Bay Area aren’t exactly slouches when it comes to beaches, either. Sure, the weather isn’t always quite as perfectly sunny as in LA and the water isn’t quite as toasty and warm as it is in San Diego, but you’d be hard-pressed to beat all of the family and kid friendly fun that you’ll be able to have down at Stinson Beach. 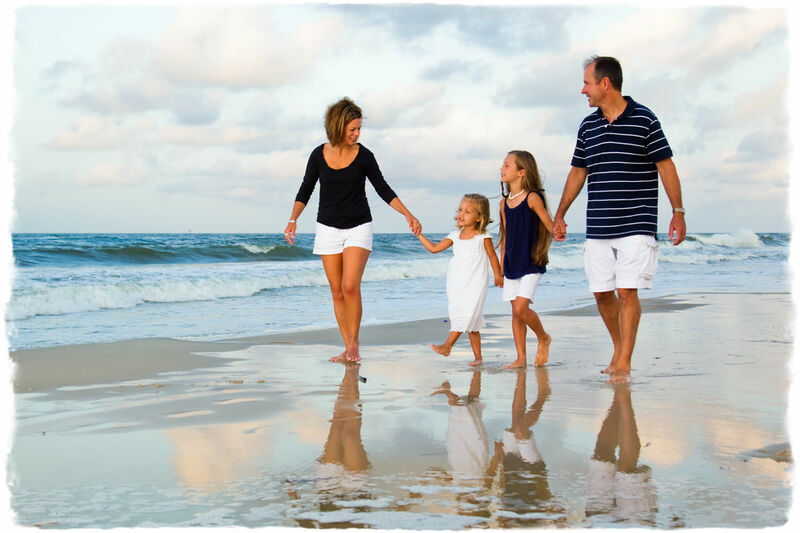 Offering 3.5 acres of beach to play in with some of the best sand and surf around, you’ll even be able to bring the family dog with you to Stinson without any headache or hassle whatsoever. The parking area is pretty large, the picnic area (with grills) is even bigger, and there are always lifeguards on duty when the beach is open so you won’t have anything to worry about. A seasonal snack bar will make sure that nobody goes hungry if you forgot to pack a lunch, so there’s no reason not to check out everything that the Stinson Beach area has to offer. We hope this helps on your time in beautiful Marin County with the kids! 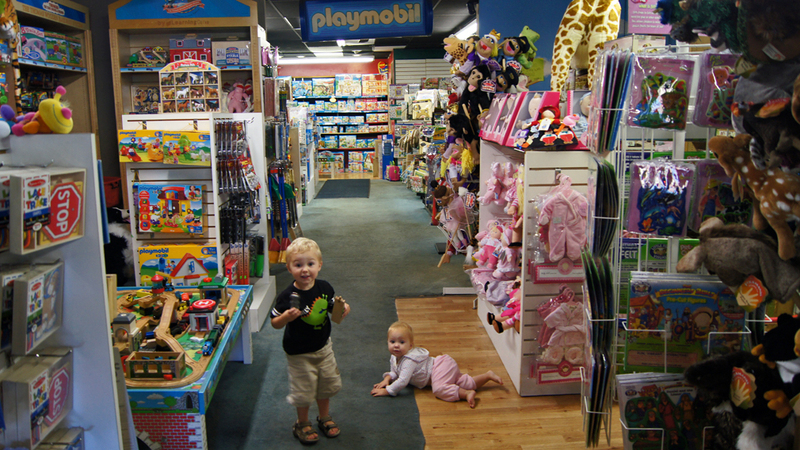 Hunting for the Best Toy Stores in Marin County? Even though it is pretty tough to beat the deals, discounts, and convenience of shopping for toys online (especially if you have Amazon Prime, for example), nothing really beats a trip with your little ones to a local independent voice store to pick up a special treat if they’ve been good, if they have brought home a great report card, or if you’re just looking to spoil them a little bit. Thankfully, the Bay Area is home to some of the very best independent toy stores in the country – as well as some of the largest. You aren’t going to have any trouble whatsoever getting your hands on special toys for a special occasion or a couple of pieces to help round out the toy box, either. 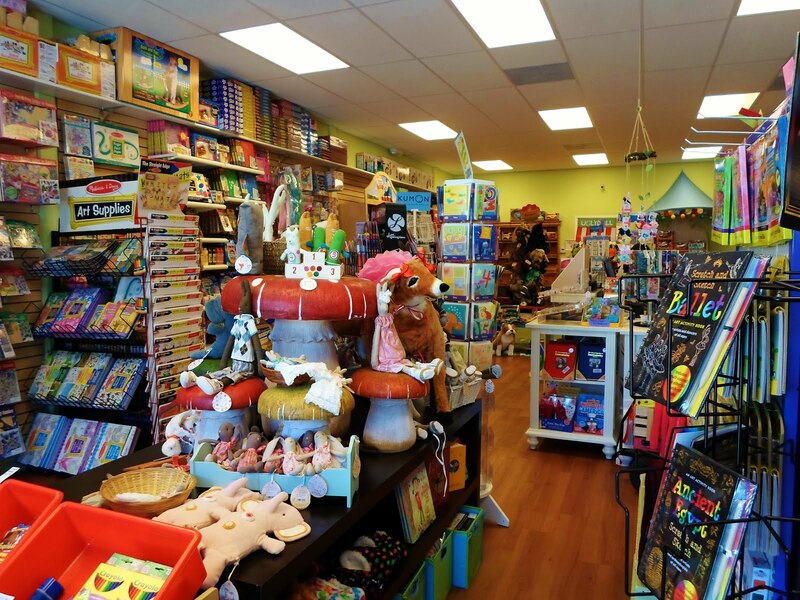 If you’d like to make sure that you have all your bases covered when it comes time to picking up some toys in Marin County, you’ll want to make sure that you check out these hotspots! As far as toy stores in the area go, you’re going to have an almost impossible time topping the experience – and the selection – that you’ll have at Talbots. Located in San Mateo, this is one of the biggest and most popular toy stores in the area but still one of the friendliest and most accessible. You aren’t going to have any trouble whatsoever finding the most popular toys available out there today right now (including one of the largest selections of Legos you’ve ever seen), but you aren’t going to have any trouble finding rarer or more “one off” and funky toys in this toy store, either. A unique hybrid that combines the amazing selection of chain toy stores with the almost mom and pop feel of small-town stores, this is the kind of toy store that you’re going to step into and then never want to leave! Best of all, the staff is incredibly friendly, amazingly accommodating, and more helpful than you ever could possibly realize. This is the kind of toy store in the Bay Area that you’re going to find yourself coming back to time and time again! 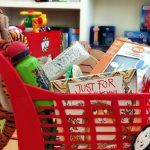 A somewhat smaller store in Novato, this is the kind of toy store that you’re going to want to visit when you’re looking for a special gift to surprise that little someone in your life or if you want to send out special gifts that won’t be found anywhere else. The toys they offer here are a little bit more expensive, but are the kind of heirloom toys that children are going to cherish forever and then hopefully hand down to children of their own. The variety of toys available is exceptional, the free gift wrapping service is a lifesaver, and the staff is helpful especially when it comes to recommendations about what’s hot today. If you are a collectible nut – or want to make sure that your kid has the latest and greatest as far as action figures, dolls, and collectible toys are concerned – you’re going to want to make it a point to regularly check out everything that Toy Safari has to offer. It almost seems like this toy store was created for children AND their parents at the exact same time. They have one of the most expansive collections of retro and old-school toys (both original collectible editions as well as modern reproductions that you won’t feel bad about opening up and playing with), and their Star Wars collection is probably second to none outside of the Disney shops. Located in Alameda, it is incredibly accessible (at 1410 Park St.), and their hours are especially friendly especially for parents that are going to be working most of the day. This is the kind of toy store that you’re definitely going to lose a couple of hours in the first time that you visit – and probably every time after that – especially if you’re a bit of a toy collector yourself. Best of all, the staff will help you track down any special collectibles that you aren’t able to find in the shop or online – and they’ll call you just as soon as they come in. We hope this helps you find the right toys for that special child this Christmas Year! Marin County, California has a population of over two hundred and fifty thousand and it’s renowned for its natural splendor, its liberal residents and its wealth. However, like all other American counties, this one has its fair share of crime and we are here today in order to discuss crime statistics for this region. We’ll touch on a range of crime stats, including violent crimes, property crimes and DUIs. Our guide will help you to understand how Marin County compares to other American areas and it is designed to give you a deeper understanding of how much criminal activity happens within Marin County on an annual basis. Let’s start things off by talking about general crime statistics for the area. In terms of violent crimes, this county had 524 incidences of violent crime in 2012. This equated to 2.09 violent crimes per thousand residents. Where property crimes are concerned, this county reported 3085 crimes in 2012, which equated to 12.31 property crimes per thousand persons. Teen DUI arrests doubled within Marin County during 2012, when compared to 2011 figures. Overall, there were 91 arrests of the DUI type during 2012 (all age groups). Unfortunately, Marin County DUI arrests for 2012 were up from 2011, according to Marin DUI Lawyer Michael Rehm though, the amount of DUI arrest should decrease with the rise of uber and other ride-sharing companies for the future. Other California counties, such as Santa Clara County and San Mateo County, reported lower numbers of DUIs (2012 versus 2011 figures). 2012 was a year when many sensational crimes were reported in the county, such as shootings on Marin County streets, drive-by-style shootings and home invasions which were violent in nature. However, overall, violent crimes decreased in 2012. In 2011, the county reported 541 violent crimes. The next year, the figure fell to 490. Property crimes are not declining and this is unfortunate. Examples of property crimes which are on the rise include burglaries, thefts, auto thefts and fire setting. General stats show that there was a nine percent increase in property crimes in 2012, when compared to 2011. Data listed in this Property Crime section is derived from California’s Department of Justice. Since Marin County features an affluent and aging population, the influence of surrounding communities may play a role in the increase in property crimes. However, state trends show that many counties experienced increases in property crimes in 2012, versus 2011. Now that we’ve covered the basics, let’s explore a couple of neighborhoods in Marin County in order to contrast their crime statistics. Which Neighborhoods are the Safest? The county features a median average income of a little over ninety thousand dollars per year, so it’s definitely a wealthy county. However, some of its neighborhoods are more subject to crimes and this type of information is good to know. The county has thirteen cities and towns, so there are plenty of neighborhoods and differences in crime rates. 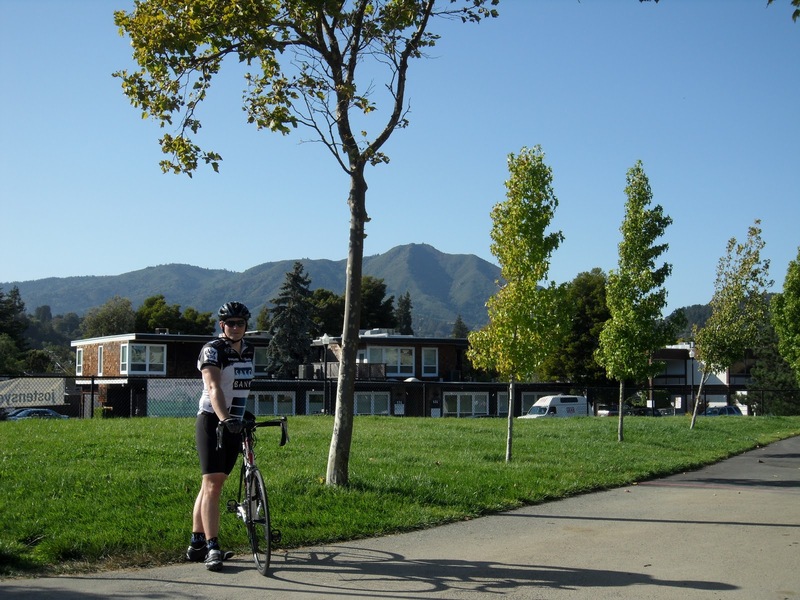 Mill Valley is one the safer places to live in Marin County. This town is about fourteen miles away from San Fran and it’s an upscale neighborhood. While it isn’t crime-free, it’s perceived as being one of the safest neighborhoods in the county. There were no murders in Mill Valley during 2012 or 2013. There were nine assaults and seventy-eight burglaries during 2013. In contrast, the county’s Canal Zone of San Rafael neighborhood is perceived as being less safe and therefore less desirable as a place to live. This neighborhood features a mixture of low-income and high-income housing. To put things in perspective, the Canal Zone has 102% more crime than the rest of the San Rafael area. Hopefully, this detailed guide has helped you to learn more about crime rates in Marin County, California. If you want more statistics and information, consider checking out official State of California resources. Marin County is a lovely place to put down roots – however, understanding its crime rates is very important.